Angel was sired 247 years ago by Darla, a very evil vampire, who was sired by the master, she was in Ireland and Angel (still called by his human name Liam) was on his way to steel money from his father to spend on a girl when he saw her dressed as a bueatiful young lady, she sired him in that very alley promising to show him the world, to show him everything in a way he could never immagine. Angel killed his entire familly and their servents starting with his father who treated him like a disgrace, he got the name angel from his little sister who on the night that he died saw him come through her window. Angel now has a son, named Conner. Conner is human and has a soul. Darla was his mother but she had to stake herself in order for the baby to live. Cordelia grew up in Sunnydale so she knows a thing or two about demons. Cordy was one of the most popular girls at Sunnydale high until she fell in love with Xander that is! 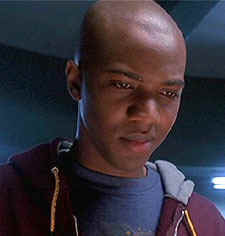 Cordy was part of the Scooby gang for a while and then left Sunnydale High after graduation to become an actor. Thats when Angel met up with her again and she decided that Angel would open a detective agency... Angel Investigations! Cordy fell in love with Doyle, Angels side kick. Doyle was a half demon half human that got visions form the powers that be. 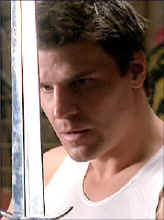 Doyle died to save Angel and just before that he kissed Cordy and gave her the visions. Cordy was also pulled through a porthole into the host's dimension where she was made a princess. That is where they found Fred. Cordy is now half demon allowing her to cope with her visions without the pain. Gunn is a rouge vampire hunter. His crew hunt vampires and demonds. 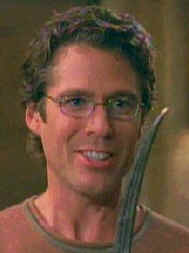 Gunn nowerdays works for Angel Investigations and is a bit of a loose cannon. His sister was made into a vampire and he had to kill her which he still feels a lot of guilt over. 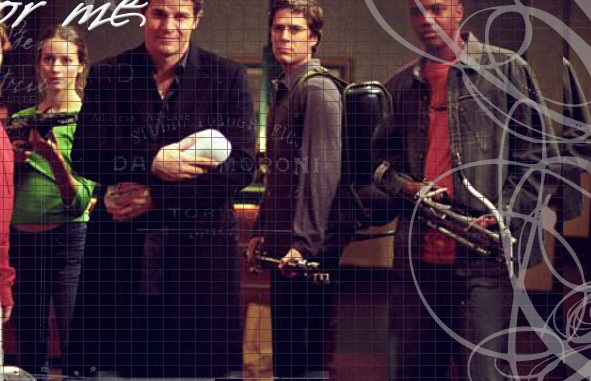 Gunn has now split from his crew because they have lost their mission and he, Wes and Fred were in a love triangle but Gunn got the girl, much to poor Wes's disapointment. From a demon dimension called Pylea, escaped by a worm home. He owns Caratas, a safe haven for demons etc. loves singing, sea breeze, music. He has the ability to read a persons Aura and uses this sense to help them to find their destiny. Lauren is now living with Angel in the Hotel because the Fang Gang managed to trash his club... twice. Loren has since departed and moved to Las Veagas. Fred is a Physicist who was trapped in an ultimate dimension, she was rescued by Angel who brought her back to LA, she is originally from Texas and was going to go home when her parents showed up again, but she realised that she can't pretend that the years in Pylea didn't happen and that her place was in LA. She used to have a crush on Angel but is now with Gunn. 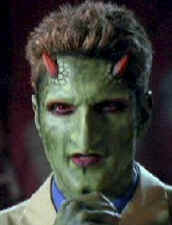 Angel's ex girlfriend and sire and enemy, Angel staked her in season 1 of Buffy but the evil law firm Wolferm and Hart reserected her and the end of Season 1 of Angel, she did have a soul however Wolferem and Hart saw she was trying to be good so they got Drucilla to change her back to a soulless blood sucking vampire, Angel and her shared and intimate moment which didn't make him loose his soul but instead gave him a moment of clarity in which he told her to either get out of LA or end up on the end of a stake, she left LA :) ! She was pregnant with Angel's child, but staked herself so that the child would live. 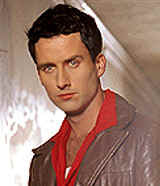 Doyle was Angels old side kick who had the visions, over the first seris Doyle and Cordelia fell in love and at the end of the series they realised that their feelings were mutual however Doyle sacraficed his life to save Angel but before that he kissed Cordelia and she got the visions. The only reason that Doyle was able to give Cordy the visions is because love was involved. Ex-cop booted out of the FBI because she was too much of a "believer", the night she was booted out she tried to commit suacide but Angel saved her for which she was grateful Angel and her are now friends. Ex-Wolferem and Hart Lawyer, Angel cut off his hand to get an ancient scroll that he needed to save Cordy, the two were mortal enemies but then when Lindsey got a new hand Angel showed him where it came from and he left Wolfram and Hart and LA Angel and him parted on good terms. 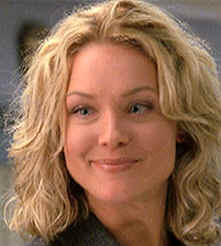 Lilah is working with Sahjan to get back at Angel, she and him made a deal but she didn't keep her part. She is partly responcible for what happend to Connor. Lilah's Mom is also sick and that is the whole reason she took a job a W&H. Drucilla is an insane wacky Vamp, she collects dolls and can see the future, Angel sired her after he made her insane by visiting every possible mental torcher he could on her and killed everyone that she cared about, he posed as a priest and told her she was a child of the devil and she should just let herself go over to evil, she eventually fled to a convent on the day she was to take her holy orders Angel and Darla masacurred the entire convent killing every last Nun and Sister then made her a vampire. Drucilla sired Spike and they were together for about 150 years or so then she left him for some demond then she re-sired Darla (her grandmother) and then went to visit Spike but then left after he offered to kill her for Buffy to show her how much he loves her in season 5 of Buffy. Dru re-sired Darla in Angel and the two went on a "spree". Lilah's associate/mortal enemy at W&H, he also harassed Angel with building code violations .